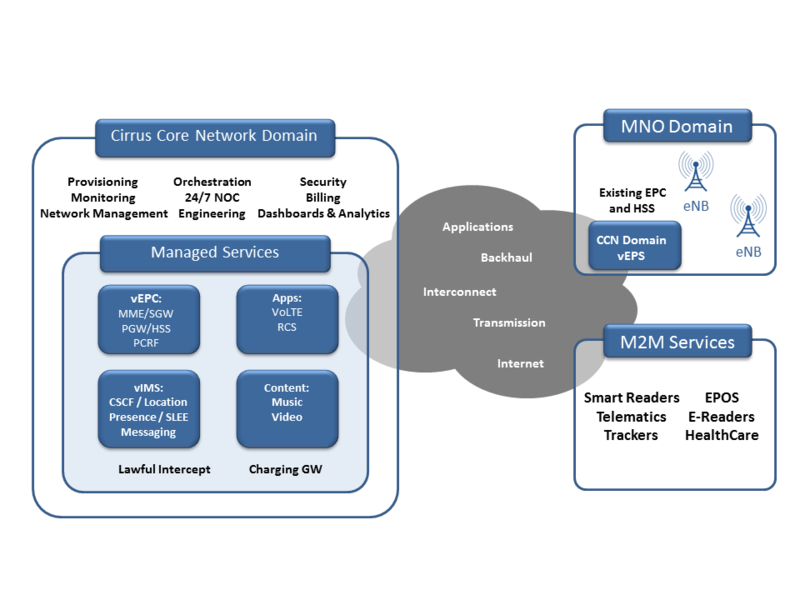 Situational Analysis: This Use Case is for MNOs offering Internet of Things service. MNOs looking to separate and offload lower margin IoT traffic from very expensive traditional network resources and/or multi-national MNOs looking to share cross-border core network capabilities. Need a minimal CAPEX and low OPEX solution that is both flexible and scalable in order to meet their needs. Our fully managed packet core that can be connected to existing eNodeBs virtually overnight and carrying traffic the next day. Highly scalable to meet the immense projected growth of IoT. Option to choose “try before you buy” or the fully managed service. CCN’s IoT solution is the most cost effective and flexible service for MNOs in need of offloading IoT traffic. Growth forecasts of IoT, nearly 300% over the next 5 years, are going to continually clog expensive LTE core network resources. This lower margin traffic can easily and seamlessly be offloaded to a separate core. Either way, MNOs will realize low CAPEX and OPEX in a scalable quick TTM solution.